Opening this month in the SoFA District - First to Market, an American comfort food restaurant. Full disclosure before I get into the nitty gritty - I am friends with one of the owners. However, he didn't ask me to blog about it - but I am, because I know you would all want to know about what this new restaurant is about. 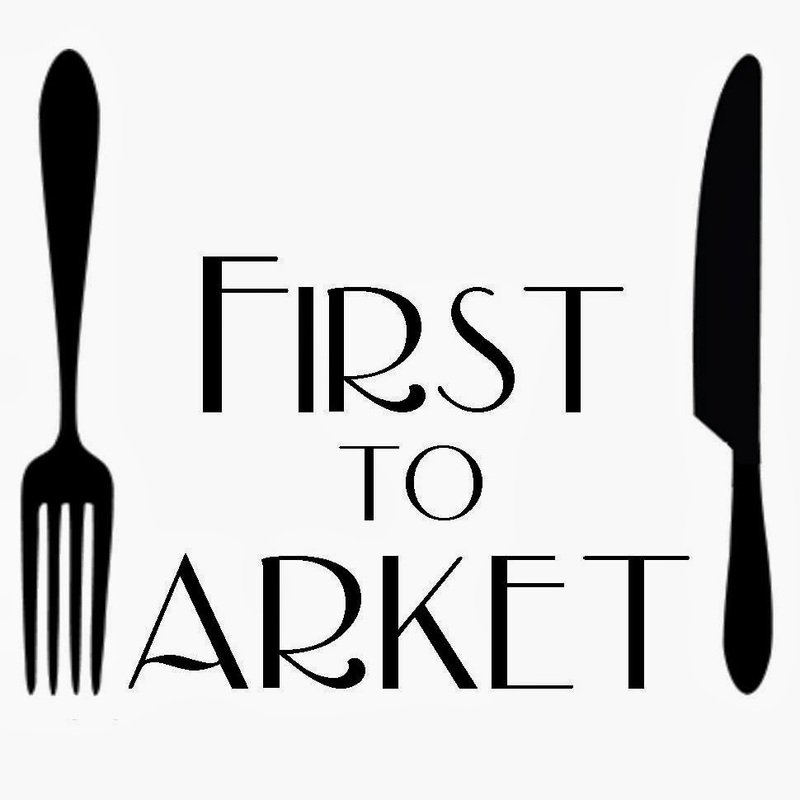 First to Market, located on the street level of the Agenda building in the SoFA District will bring downtown signature dishes from Chef Domingo Wolbert such as Bison Tartare, Shrimp and Grits, and Housemade Tots to name just a few. They will also be the first restaurant in San Jose to carry an authentic Southern Country Ham. Their menu will be seasonal, allowing even regulars to continue to experience new tastes as the year goes on. Owners Joe Gradillas and Jennifer Lin were both raised and educated in San Jose. Between them, they have extensive entrepreneur and restaurant experience; Gradillas has had success with several businesses downtown and Lin has a degree in Hospitality Management from SJSU along with a Culinary Arts degree from PCI. "It describes a time in US history when all food was made from scratch, and processed, shelf stable or frozen foods didn't dominate the shelves of pantries and refrigerators. This was a time when "supermarkets" didn't exist, and to plan a celebration, family members would have to plan early trips to the local market, to ensure they would have everything they need and get started on preparing the meal with ample time to finish. We want the food to be reminiscent of that time, when rich flavors came from the love of preparing a meal from scratch for the entire day. However, we have a running joke that we chose the name because we are literally located on First street, between First and Market Street." They haven't forgotten about where they are, the SoFA District. Art and community is a big part of that area of Downtown (First Fridays, SubZero, The ZERO1 Garage, etc) and to bring an element of that into the restaurant they will have one of their large walls dedicated to a local artist each month. Now, tooting my own horn for just a moment -- I was honored to be the first artist to showcase on their wall! As you walk in, you will see a handful of my photography pieces; I've themed my collection to include people and scenes from the South Bay/San Jose area. Be sure to check them out and see what you recognize. Now here's the fun part - for me, and for you, of course. You are invited to a soft-opening as my guest! Join me, Josh, and others as we welcome First to Market to the SoFA District. Bring your friends and mix and mingle as you check out the newly decorated building, meet the owners, and best of all - get a chance to taste a select menu! Items will be available as appetizers to sample, FREE to guests. We really hope you can make it out, as we'd love to get a chance to meet with our loyal readers! Please let us know you'll be joining us via the comments, Twitter or Facebook! If you miss the soft-opening, stop by after February 25th when they will officially be open! I've been wondering what was happening there. I'll be there on the 21st, plus one. Thank you! Wasnt there a southern style restaurant in there previously? Bayonne, but I have a feeling that this place will take things to a whole new level. Check out their Indiegogo video using the link above. Is this restaurant/opening going to be baby-friendly? Yes! Both the restaurant and the event are baby-friendly. Thanks for asking! Thanks for the info, but unfortunately, we won't be able to make the opening. Will try to check it out when we can. Would love to check it out. Mark Perez +1. BTW my name is Jess C.
I replied to your Facebook post. I'd like to RSVP for myself -- Linda W. Thanks. Count me (Chris M.), and a +1, in as well. Thanks! Really looking forward to it! Ben Rice +3 please! Personal friends of Jenn Lin. Mimi Tran +1, please!